Company TPO’s shows are authored by a variety of creative able to use different theatrical languages, and are characterised by the use of images projected onto large surfaces, and the use of interactive technologies. A prize-winning company, TPO is based in Prato, Italy at Teatro Fabbrichino and works in residency at Teatro Metastasio Stabile della Toscana. 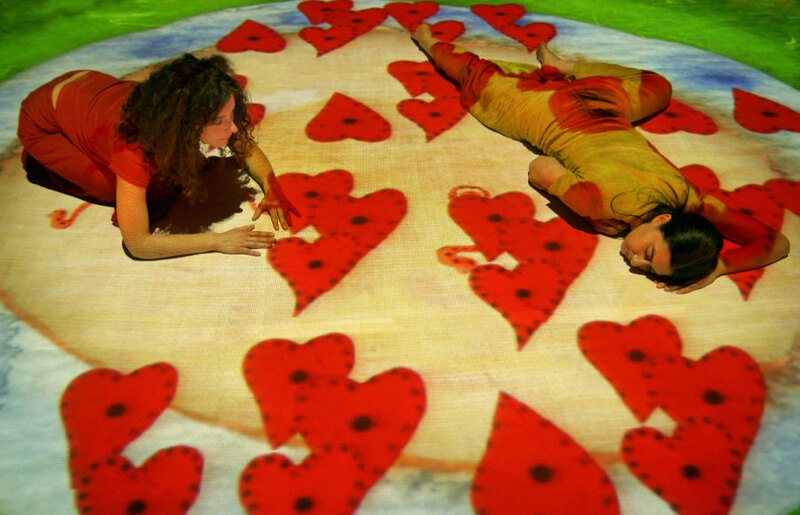 Between 2002 and 2007, TPO devised the concept of the ‘children’s cheering carpet’ a magic carpet where, through movement and touch, it is possible to explore imaginary gardens devised to create access to places in the world of art. 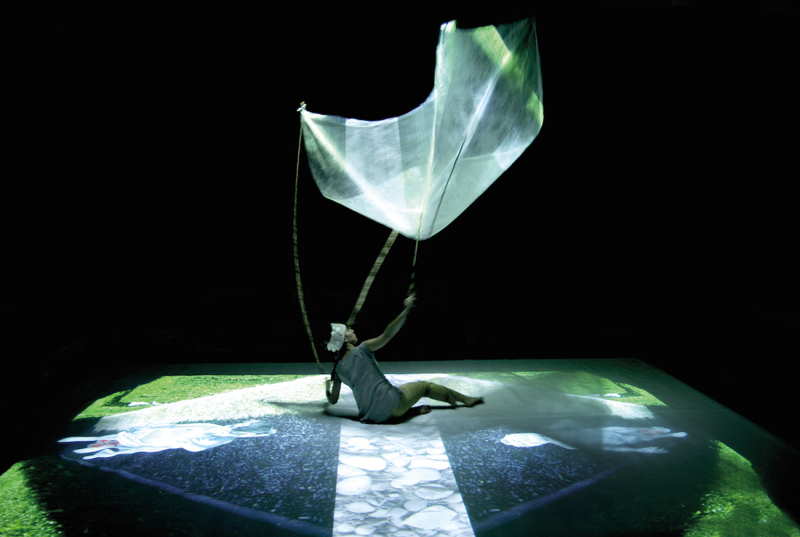 Between 2008-2009 the group continued its research developing new technologies through the use of motion-tracking and the building of interactive props that had the ability to make a theatrical relationship between the body, the stage and images more sophisticated. In 2010 the group focused its attention on the world of music. In this project the stage is composed of light beams and luminous props which, with the use of sensors, act as imaginary musical instruments designed to arouse the curiosity of children to explore, play and create. 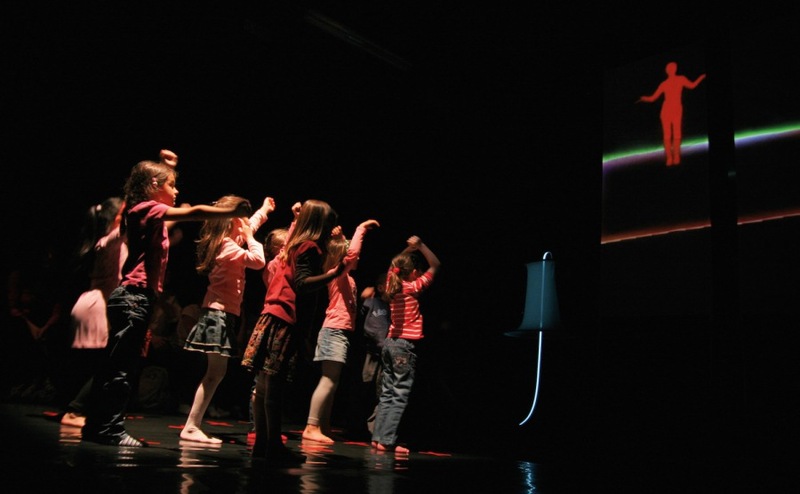 Between 2010-2011 the company realised Kindur, a project in which spectators from the audience interact on stage by wearing ‘magic’ woollen hearts which allow them to participate in a more direct and immersive way. In 2013, the group premiered Babayaga and presented Bleu! a co-production with Teatro Metastasio Stabile della Toscana in collaboration with Marseille-Provence 2013 European Capital of Culture. Read more about TPO here. 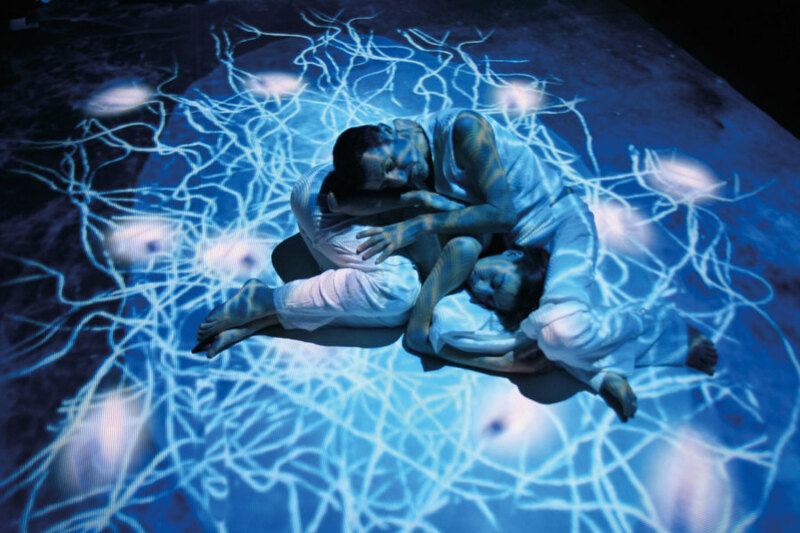 Inspired by their innovative use of technology to create sensory and immersive theatrical environments for children, Crying Out Loud introduced Company TPO to the UK in 2004. We have worked with them ever since, extensively touring their productions across the UK, and touring them internationally, introducing them to USA and Australia. Purveyors of visual, emotional and immersive theatre, space is the protagonist in TPO’s shows with their images, colours and sounds. 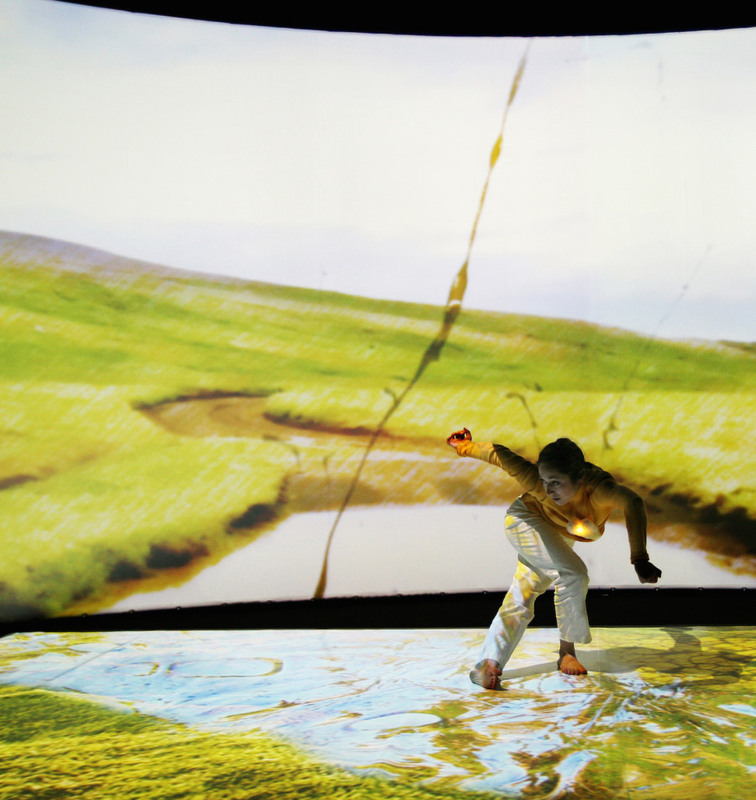 Thanks to the use of interactive technologies, every show transforms a space into a sensitive environment where the fine border between art and play can be experienced. Dancers, performers and the audience interact with each other exploring new expressive forms that go beyond language and cultural barriers. TPO shows are renowned for using big visual scenery that transforms into interactive theatrical spaces thanks to the use of sensors and digital technologies, making the company’s work accessible to all audiences. 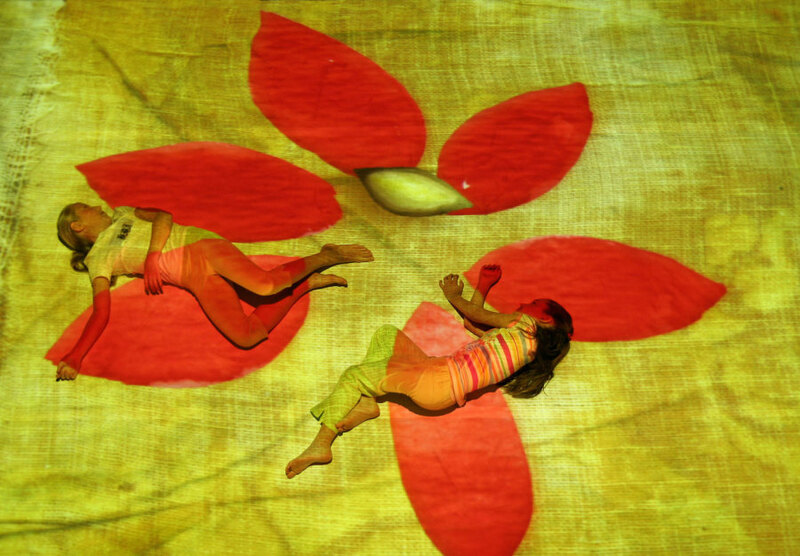 In addition to touring The Japanese Garden, The Kurdish Garden, Butterflies and Kindur, we collaborated with TPO in a pilot project for children on the autistic spectrum at London’s Purcell Room during a run of Butterflies. This led to the co-commission of a special residency to create Dance Please! at Chats Palace with Ben Duke. This was the beginning of Opening Out, a strand of Crying Out Loud’s work that provides access to high quality work for children on the autistic spectrum. ..it makes a memorable experience, for children aged six and over. “I want to see it more!” piped one girl as the lights came up; and from young theatregoers, there’s no higher praise than that. Beautiful botanical images and captivating rainforest sounds emerge from every direction, the evolution from caterpillar to butterfly has never been so brilliantly staged. The audience is led into a digitally created world of astonishing sounds and images where every movement made alters the visual display as the virtual garden bursts into bloom and life.